Ferrets can be smelly animals! But you are in luck. It is possible to alleviate that smell! 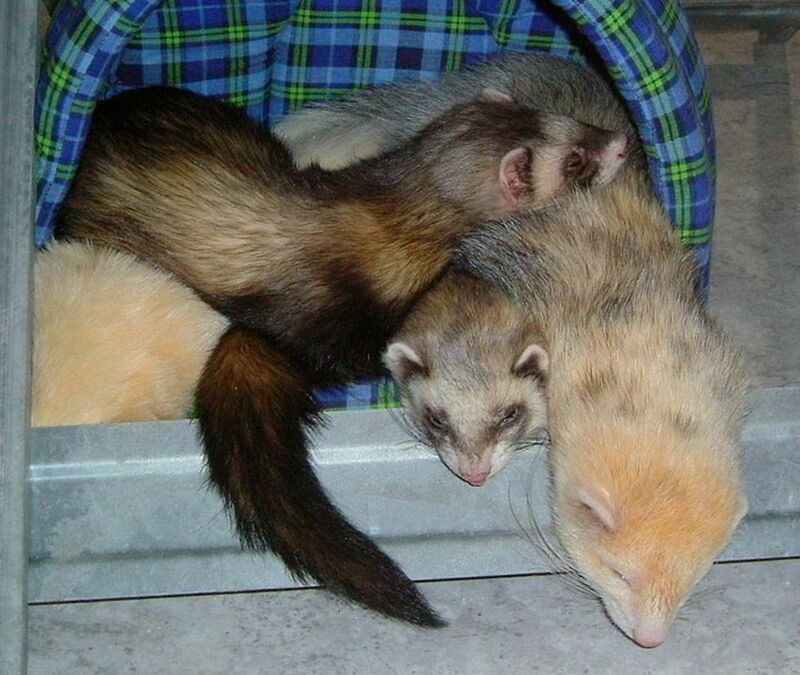 I have two ferrets of my own and two litter boxes in a four-story cage. People come over all the time and comment, "Don't ferrets stink?" To their surprise, my cage has almost no smell! The only way you can smell anything is to literally stick your head in the cage and sniff. How do I do this? It's easier than you think. Follow these tips and make holding your nose a thing of the past! These are a must. You will be amazed at the dramatic results. Wood stove pellets are simply sawdust that has been compacted into pellets. You can buy them at your local Wal-Mart, Lowes, Home Depot, hardware store, tack shop, or many other locations. Sometimes they can be hard to find during the summer months, so I recommend stocking up in fall and winter when stores are more likely to sell this product. Wood stove pellets are cheap and come in 40-50 lb bags. Simple! Use it just as you would cat litter and fill the litter box up with wood stove pellets. The only difference is that there is no scooping required! When the pellets come in contact with moisture, they break apart into sawdust. When 1/2 to 2/3 of the pellets have become sawdust, empty the whole litter box and refill it. When I first began using this I was amazed at the difference and how much less frequently I had to change the litter box. I had tried every cat litter, from the expensive brands to the cheap brands, and nothing seemed to get rid of the smell. As a rule of thumb, if it goes in smelling bad, it’s going to come out smelling bad. Stinky food equals stinky poop. If you feed your ferret a higher quality food (like Evo or Wysong for example), they will eat much less than if you feed them a lower quality food. Less poop = less stink. Don't skimp on the food. It will actually save you money if you buy it in bulk online. This is a great product sold both online and at many pet stores. Nature's Miracle is a spray that works using enzymes and is harmless to animals. It is marketed as a stain and odor remover. You can buy Nature's Miracle specifically designed for ferrets or the regular Nature's Miracle. They are basically the same. If used along with wood stove pellets, this just tops everything off. Your wood stove pellets alleviate most of the smell, but what if there's still a faint odor? This is where Nature's Miracle comes in! Simply take the ferrets out of the cage, give it a few sprays of Nature's Miracle, and let dry. Voila! No smell! I usually spray my cage with Nature's Miracle once a day just to make sure there is no odor. This only works well with wood stove pellets. If you’re using another litter that doesn't work as well and your cage smells awful, Nature's Miracle won't actually pull off any miracles. Ferrets don't need to bathe very often. A bath every month or two is plenty. Only bathe the ferret if it is dirty, if it has defecated on itself, or if it seriously just smells. 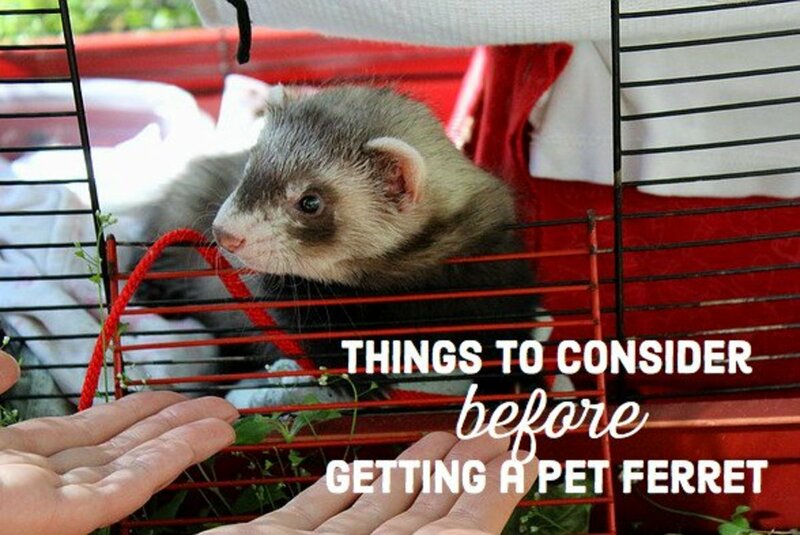 You may need to bathe your new ferret shortly after bringing it home because it might smell excessively. Overall, however, the less baths the better. Every time you bathe your ferret you are stripping the skin of its oils and the oils will come back stronger because of this to replenish themselves. So even though your ferret smells good after a bath, it won't be long before the stench is even worse than before. Only bathe your ferret if necessary. Ferrets are oily animals. It's part of what makes the ferret smell like a ferret. As you can imagine, all those blankets you have in the cage will smell a lot like ferret as well if you don't wash them! Blankets or anything cuddly is the best bedding to use. Carefresh and wood shavings will make the cage smell more and ferrets don't really seem to enjoy these types of bedding. Plus, they are extremely messy! Cut up some old sheets or clothing and put that in your cage. Just remember to change the bedding out weekly and wash used bedding. But What About the Ferret? The ferret itself is going to smell like a ferret, no matter what. Just like a dog smells like a dog, a horse smells like a horse, and a cat smells like a cat. A ferret is going to smell like a ferret! If it really bothers you though, look into buying a ferret grooming or refreshing spray. 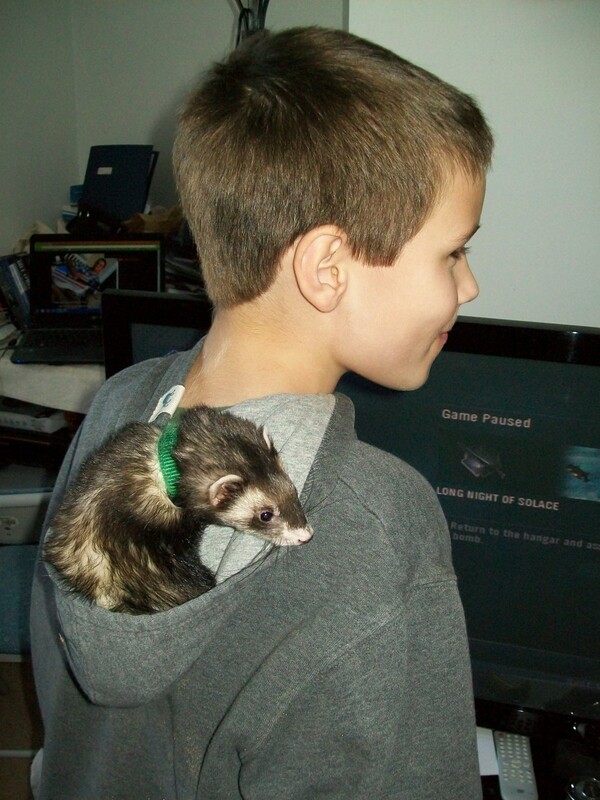 Spray some on the ferret whenever you are handling it to make the ferret smell more pleasant. This is better than bathing because it will not strip the skin of its oils. Liquid put in their water their de-odorizes their body and poop odors. Works wonders and is essential for every ferret owner. Buy on Amazon. I agree with the other points, such as wood pellets for litter that absorb the smell well and washing their bedding frequently. Thanks for the post and hope I helped! Amazing and informative article. Very well written and explained. I want to know about, can ferret cage make yourself? It has easy procedure? 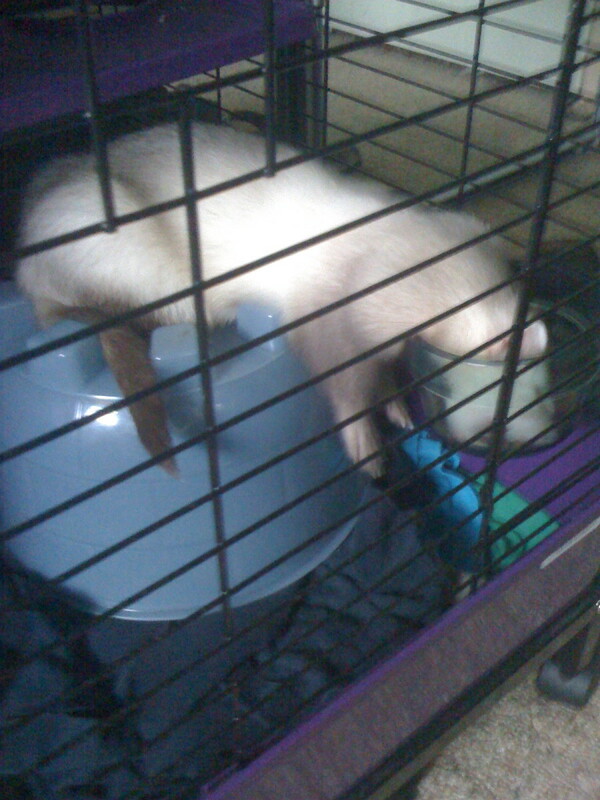 Actually, I saw many ferret cage on online sites like bestferretcages.com . But I want to make DIY. Please guide me about it. Thanks. Stove pellets do contain chemicals, however, equine bedding pellets do not. They are also readily available at farm stores. There is no dust when wet and they work for any small animal ie: guinea pigs and rabbits. Hi I have a ferret to and it smells a lot but for the pellets can I use regular saw dust instead you see I'm a wood chop teacher and when ever the students do there projects they leave a lot of saw dust so would it still work. thank you so much for this! 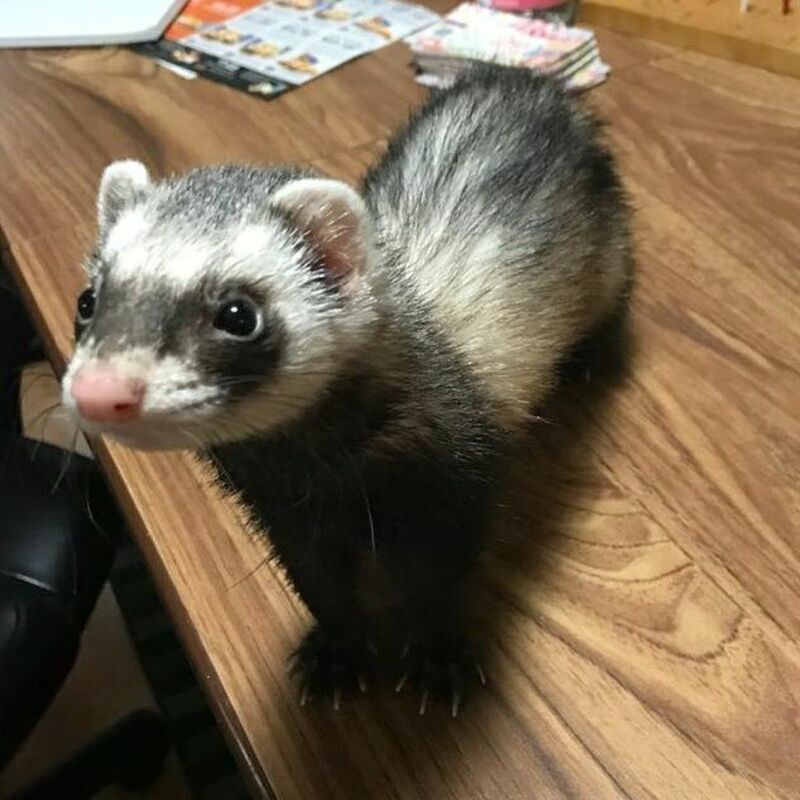 i may be buying a ferret at some point, and this is very helpful, i once hat a rabbit and two rats, there cages both always smelt really bad, even when i hat just cleaned them out, but all of your tips are very handy to know, but i would try to find something other than wood pellets, according to the other comments. I woukdnt use pellets that turn into saw dust . Simoky because saw dust is bad for ferrers reapitory system. Also since these are fir a wood stoce etc you have to be careful about the chemicals used becuse this isnt going ti be pet safe. I stopped reading as soon as I saw you used wood pellets. 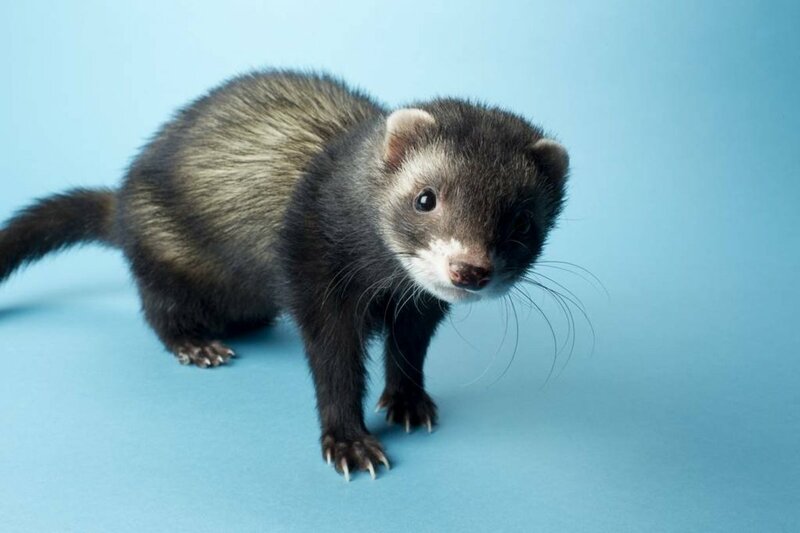 This is very bad for ferrets and can cause respiratory infections. 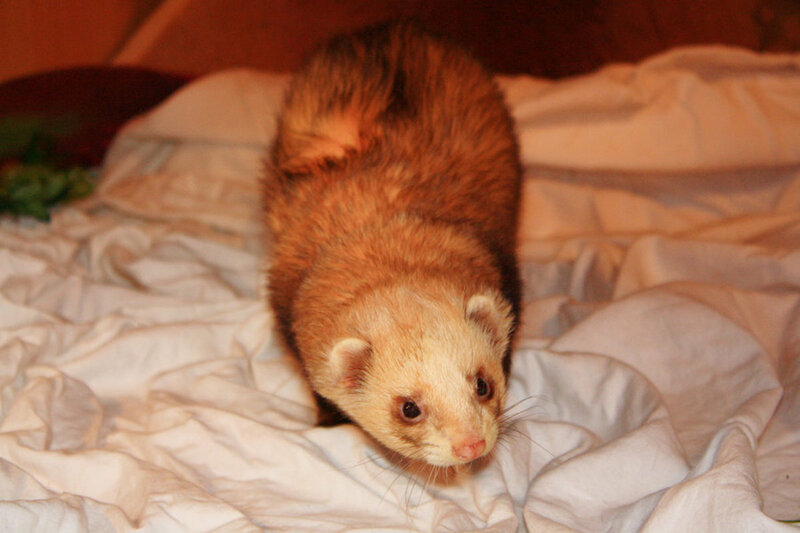 What happens if your ferret eats the wood stove pellets? Thanks for this. I really want to keep my ferrets. but my dog is getting older and we can't have 2 dogs and 2 ferrets its a little too over whelming. But if this works i might not have to reconsider. i line my cage with fleese. i have a ferret nation cage and the bottom is these plastic trays. i just tuck a square of elt under the edges and swap them out every week. i have four ferrets so maybe less if you have two. plus bonus! my ferrets wont poo on the felt. no scraping hard poo off the corners n cage! Thanks very much this really helped out. As soon as I get paid I'm going to buy these items. Great article, this is one of the best worded, properly explained, and easy to understand that I've seen on the topic.